Our chakras are spinning vortexes that store every thought, emotion, memory or experience we’re ever had. 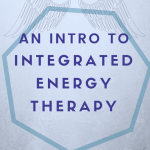 Today, yogis, energy healers, and spiritual teachers use a multitude of healing modalities to balance chakras. This includes asana, Reiki, essential oils, intention, awareness, meditations, breathe work, and crystals. The meaning of a blocked, stagnant or weak chakra is that you are struggling with one of the functions of that chakra. 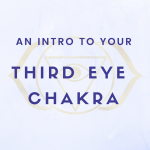 See below to discover what your crown chakra can tell you about your consciousness. What are you holding in your crown chakra? Share below!